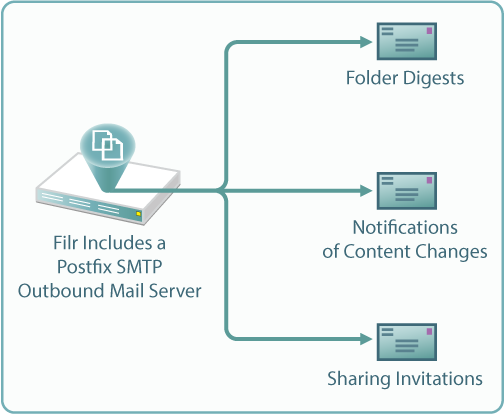 Filr includes a Postfix mail server for outbound email notifications, as illustrated in Figure 6-1. Although the default mail server should work well for most Filr installations, you can configure Filr to use your outbound SMTP mail server. For more information, see Changing Outbound Email Configuration Settings in the Novell Filr Installation and Configuration Guide.